March was a fantastic month full of Spring weather, sunshine, and—oh yeah—incredible articles from our weekly coaching roundups! 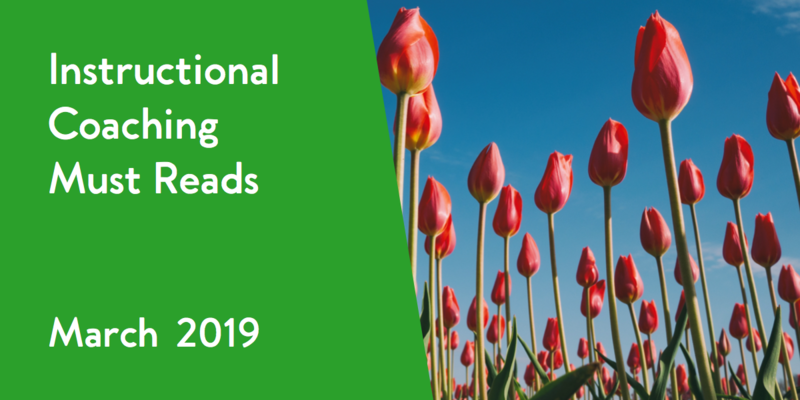 Learn how effective feedback supports whole child perspective, what the Gradual Increase of Responsibility Model is, why meaningful collaboration is important for professional growth, and more. February was a great month: the groundhog didn't find his shadow and our weekly coaching roundups compiled some incredible articles. 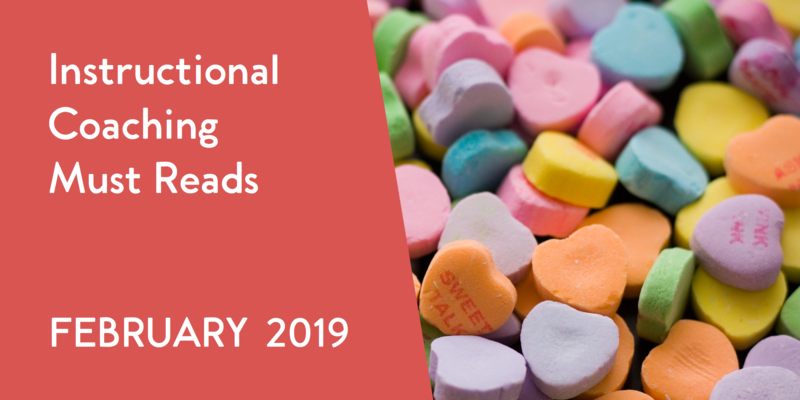 Learn about social-emotional coaching, tips for working with a cranky teacher, how chocolate can help your coaching efforts, applying adult learning theory to coaching, and more. Enjoy! 2019 is off to a great start here at TeachBoost and we hope the same for you! 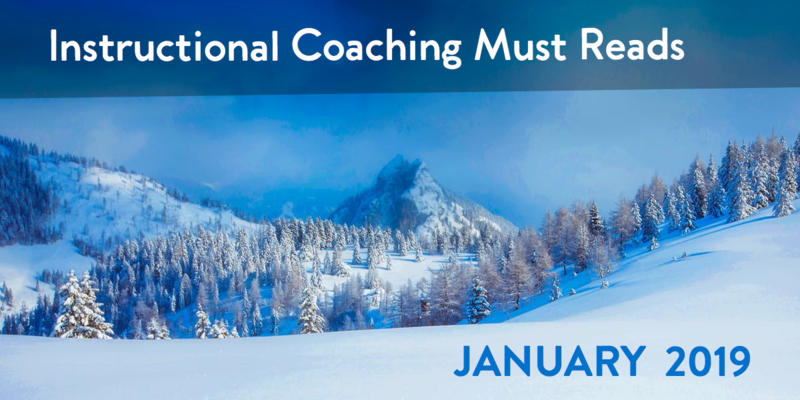 Read the top coaching articles from January's weekly coaching roundups and learn coaching strategies to support personalized learning, some pros and cons of various coaching methodologies, new questioning techniques, how to use checklists to support coaching, and more. Enjoy! Happy Holidays from the TeachBoost Team! 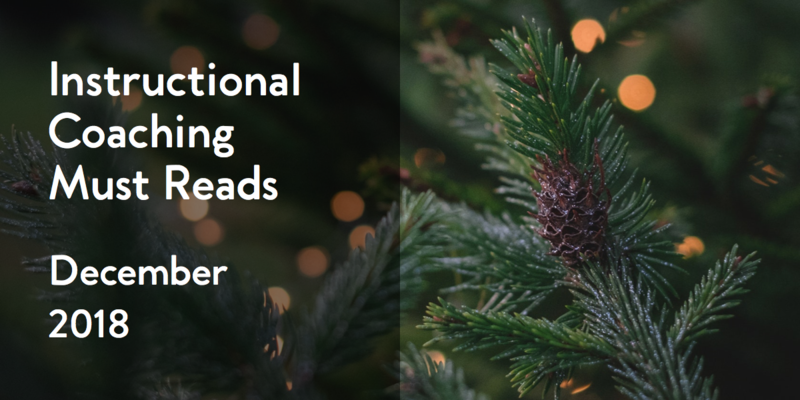 Indulge in the top coaching articles from our weekly coaching roundups this final month of 2018 and learn about fundamental traits of instructional coaches, the "third space" concept for building relationships, what it's like to transition back into the classroom after coaching, and more. Enjoy! 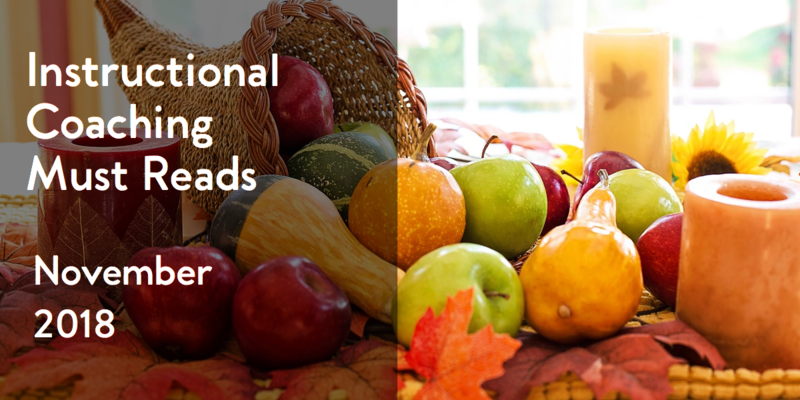 We're incredibly thankful this year for instructional coaches like you who join us and help create such a wonderful community! Enjoy some of the top coaching articles from our weekly coaching roundups this past month on the different types of co-teaching, ways to make feedback more meaningful, how to hone your presentation skills, the benefits of student-centered coaching, and more. Enjoy! This month's Weekly Coaching Roundup topic is student-centered coaching! Learn all about Diane Sweeney's coaching methodology, how PLCs can carefully amplify its impact, and more! 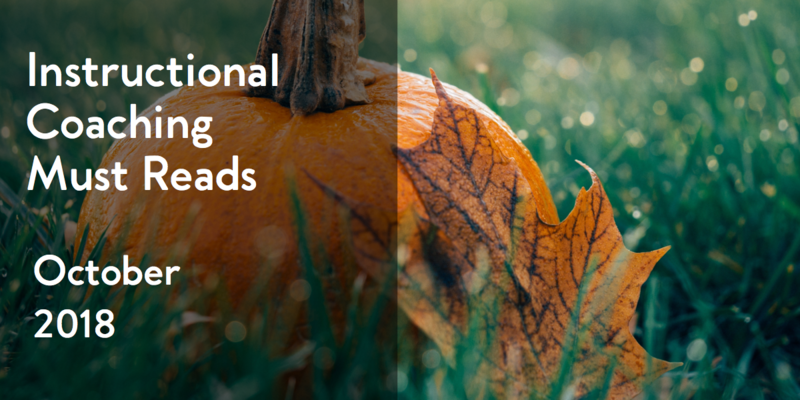 We've harvested the top coaching articles from October's weekly coaching roundups! Read below to learn about inquiry-based coaching cycles, extending coaching invitations, rules for instructional coaches, wearing a coaching at as a principal, and more. TeachBoost's Weekly Coaching Roundup is our hand-picked list of first-person perspectives, resources, and tools from instructional coaches, delivered every Wednesday! Here's our latest roundup focused on utilizing coaching cycles to better coaching. If you'd like to stay up to date on coaching news be sure to subscribe to our weekly roundup below! Instructional coaches drive student achievement through the development of educators and school leaders. But how do coaches find ways to nourish and develop themselves on a professional level? Professional learning communities made up of peers—networks both in person and online—are one fantastic resource to move professional learning forward. 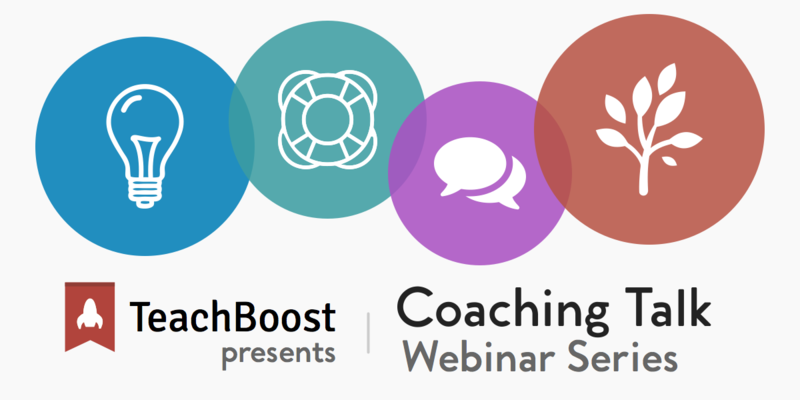 TeachBoost partnered with Ellen Eisenberg and Dana Kramaroff for the third webinar of our 2018 coaching series on March 28th at 6pm EDT.